Late last week, by a razor thin margin the U.S. House of Representatives passed a terrible 2018 Farm Bill that poses a significant threat to our nation’s public forests. The House bill eliminates public and environmental review for massive logging projects, removes wildlife protections, meddles with the courts, and opens pristine roadless areas in Alaska and across the West to road-building and clearcuts. 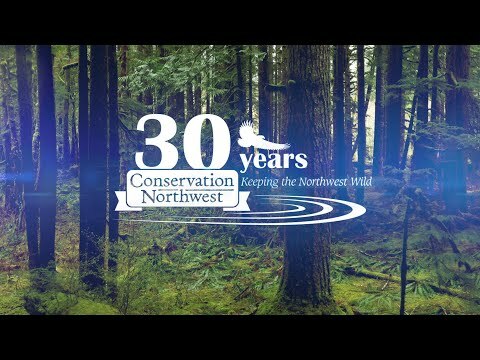 “In its effort to prioritize logging over other values, this bill threatens the trust and functionality of collaborative efforts that have fostered careful ecological restoration, including thinning and prescribed burning, to improve forest and watershed resilience across Washington,” said Dave Werntz, Conservation Northwest Science and Conservation Director . Find your senators here and urge them to oppose extreme anti-environmental provisions in the 2018 Farm Bill! The Senate will consider its version of the 2018 Farm Bill this week, and senators will need to oppose the radical forestry provisions in the House bill and focus on conservation, collaboration, and other bipartisan policies says Werntz.